Hand and Stone Prices – Is It the Spa Gem You Need? Once upon a time, massages and other spa treatments were seen as being only for rich people. However, spas like Hand and Stone worked to change this perception by offering high-quality physical therapy procedures and massages at affordable prices. In addition to massages of various types, the spa offers its customers a variety of facials and exfoliating treatments. 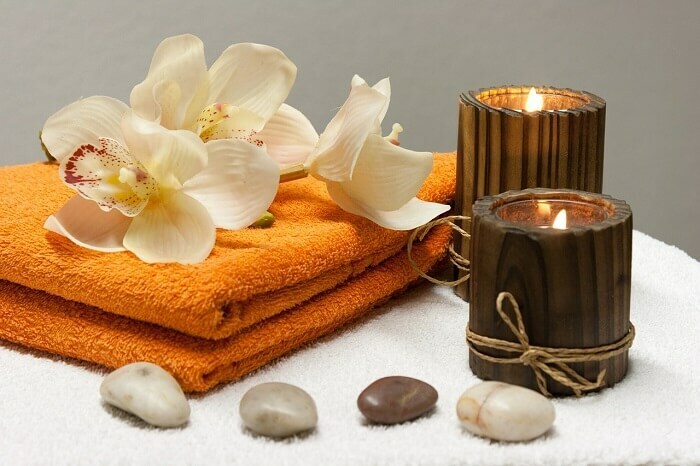 In order to fill you in regarding these services, this guide will list Hand and Stone prices as well as other important pieces of information regarding the spa. What Are Hand and Stone Salon Services and Why Should You Try Them? In order to help clients relax and alleviate their pain and discomfort, Hand and Stone is a spa that offers various type of expert massages and other physical therapy treatments. Apart from helping customers relieve pain, these massages and physical therapy procedures have the ability to reduce stress and promote complete bodily rejuvenation. These services are carried out by expert professional therapists that have the necessary skills to guarantee positive results. Being a versatile spa, Hand and Stone offers its customers a variety of massage types and styles. They include Swedish massage, couple massage, deep tissue massage, hot stone massage, trigger point massage, sports massage, and even prenatal massage. It’s worthwhile mentioning that Hand and Stone prices for these type of massages are among the most affordable in the country. Because it’s the most requested, the Swedish stands as the favorite and most popular type of massage that is offered at Hand and Stone. However, many customers rave about the spa’s trigger point and deep tissue massages. They often cite them as the best in the area. Another Hand and Stone service that is very popular is the prenatal massage. Carried out by highly trained professionals, this kind of massage helps soon-to-be moms with improving their health and lowering their stress level before the childbirth. At the same time, prenatal massages have been proven to ease the pain of childbirth and generally improve the future mom’s disposition and mood. Apart from high-quality massages, Hand and Stone offers its clientele a variety of facials and exfoliation. Because a person’s face is one of the most sensitive and important parts of their body, experts at Hand and Stone make a point of treating it amazingly well. Apart from feeling great, these facials and exfoliating treatments help maintain the skin on your face looking healthy and beautiful. They also help keep your skin clean while removing wrinkles and fine lines. This procedure gives it fantastic dewy glow. 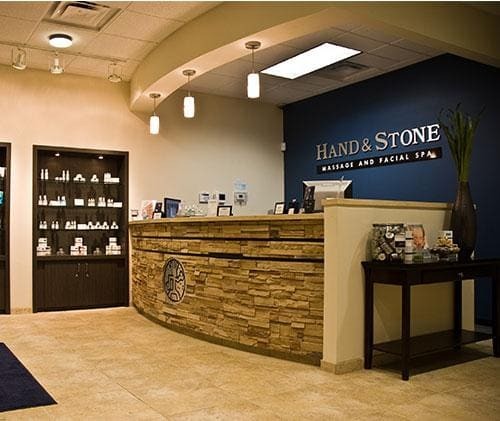 In addition to its main services, Hand and Stone offers complimentary treatments. These can be aromatherapy, hair removal, scalp massage, face massage, foot exfoliation, and hand therapy. Enhancing the overall experience, these additional services are luxurious and pleasureful. Founded by physical therapist John Marco in the year 2004, Hand and Stone was conceived as a spa and massage parlor. It became known for its policy to provide its services to people of all social statuses. One of its main goals was to expand the demand for massages and facials by reaching people who thought of these services as being out of their league. Soon after opening its first outlet, Hand and Stone began a process of business growth and expansion through franchising. Thanks to high-quality services and the affordability of Hand and Stone prices, the spa franchise quickly spread across North America. Today, the company has 26 outlets across the United States and Canada. In order to reward its valuable customers, Hand and Stone salon has established a lifestyle program that’s wonderfully convenient. 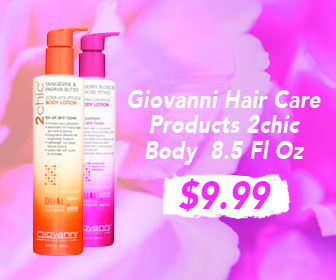 The program allows customers to enjoy special deals, surprise gifts, and other promotions. Amazingly, Hand and Stone’s lifestyle program requires no enrollment fees from customers that wish to join. There is no doubt that Hand and Stone is one of the most popular and reputable massage spas in North America. Currently, it has an average rating of 4.5 out of 5 stars on Yelp. Additionally, it has the backing of thousands of spa and massage enthusiasts. Among various other things, people love Hand and Stone for its luxurious and yet hospitable environment. At the same time, many people have praised the professional and friendly demeanor that’s offered by all the therapists and employees at the massage spa. It’s also worth noting that, even though its services are top-quality, Hand and Stone prices are incredibly reasonable and affordable. In order to provide its great services to as many customers as possible, Hand and Stone spa is opened seven days a week. Its extended operational hours vary according to the location and other factors. However, most Hand and Stone outlets function from 9:00 AM to 8:00 PM. As a conclusion, it can be said that Hand and Stone offers a valuable set of services that most customers will be very satisfied with. Provided by expert professional therapists, these affordable services boast a level of quality that would not be out of place in a high-end, incredibly expensive spa. Have you given Hand and Stone a try? Let us know how it went in the comment section!